Some children are by nature shy, and simply too scared to accept necessary dental care. Even if seated in the chair they may make unexpected movements and even cause themselves harm. In such cases, conscious sedation using nitrous oxide may be useful to calm your childto make dental treatment possible. Nitrous oxide is a colorless gas with a slight sweet odor. It has been used in medicine for sedation purposes for about a century. It’s safe and quite effective for administering conscious sedation.Conscious sedation means that a child (or adult) will stay awake during the procedure, but feel completely calm — even happy. In this condition all biological functions remain normal but the child is mentally relaxed. The effect nitrous oxide sedation wears out automatically and quickly as soon as its administration is stopped after the procedure. For conscious sedation the patient child inhales nitrous oxide mixed with oxygen gas through a small mask which fits over the nose of the child. In a few minutes the child starts to feel lighter and may experience a tingling in his / her hands and feet. There is no need to worry! This simply means that the sedation is taking effect. Once the child is sufficiently calm and comfortable, the dentist starts the required procedure. Is Nitrous Oxide a Substitute for Local Anesthesia? Nitrous oxide has a unique quality that it also possesses anesthetic properties, in addition to its anxiolytic effect. This means that nitrous oxide administration may not require another anesthetic injection.However, in case of patients who have a low pain threshold, administration of a separate pain-relieving agent may be required.The anesthetic as well as analgesic effects of nitrous oxide fade away as soon as its administration is ceased. Nitrous oxide sedation is useful for any children who are overly anxious or scared of getting the treatment. A medical and dental history will be taken before any procedures to check for any sensitivity. You can explain to the dentist if you know that your child suffers from anxiety. 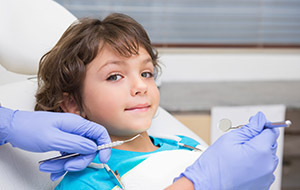 The dentist will give just the right amount of sedation that is required for making your child calm and relaxed. The child will be perfectly safe and comfortable, and will also not even remember any detail about the sedation later on.